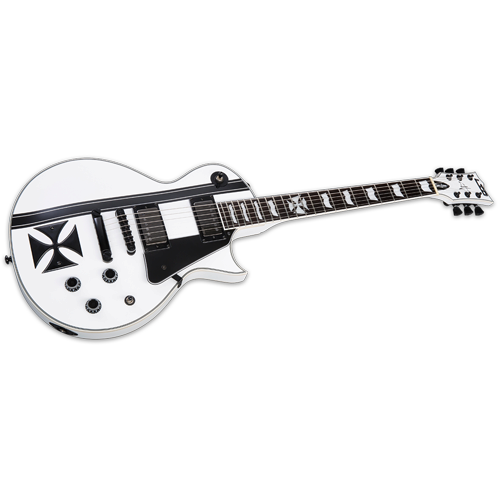 The LTD Iron Cross is a Signature Series model of James Hetfield, the frontman of Metallica and one of the world's most highly respected rhythm guitar players in any genre. 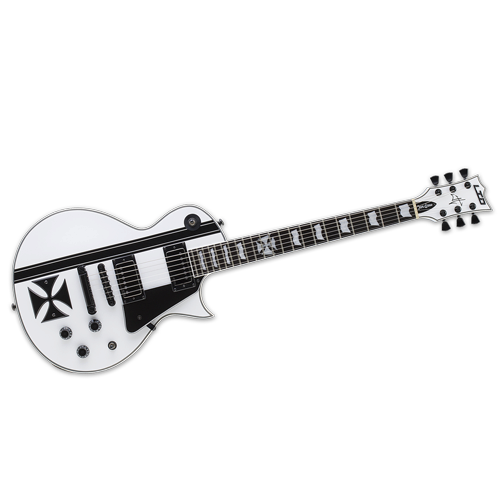 The Iron Cross is based on James' personal custom instrument design, and features set-neck construction of a mahogany body with maple cap, and a three-piece mahogany neck with ebony fingerboard and 22 extra-jumbo frets with an Iron Cross inlay at the 12th fret. 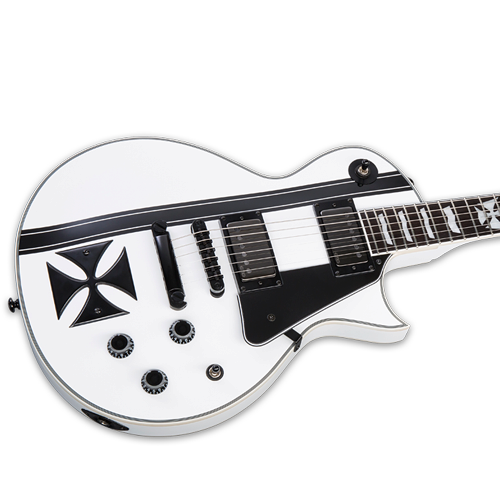 The LTD Iron Cross is powered by James' own EMG JH SET active pickups, and includes a TonePros locking TOM bridge and tailpiece. Available in Snow White finish with black stripe graphic and iron cross fixture.